We are continuing to provide technical and educational support for Marin landowners and land managers through ranch water quality plans. These plans are used to setup ranch infrastructure, develop grazing regimes, and implement resource conservation practices on farm. 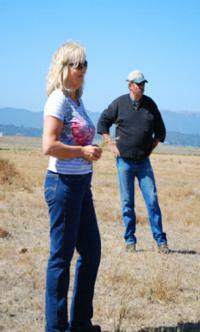 They have also supported compliance with water quality regulations in the Tomales Bay and other watersheds. The ranch planning process has leveraged grant funds to implement new water quality improvements that landowners’ prioritized on their plans. Examples of practices include fencing, tree planting, repairing headcuts, installing water troughs, upgrading culverts, and stabilizing the gully or streambank that began unraveling years ago (e.g. 1982, 1986). This effort and partnership is developing and implementing solutions that will improve farm viability for generations to come.